There’s not much question what the sport of choice is in the Fleming family household. In nearly every way, all signs point to tennis. From left to right, Christy, Greg, Barbara and Michael. James is missing from the picture. It’s a theme that combines hobby and passion for Michael and Christy, and their kids, Barbara (16), James (14) and Greg (12). 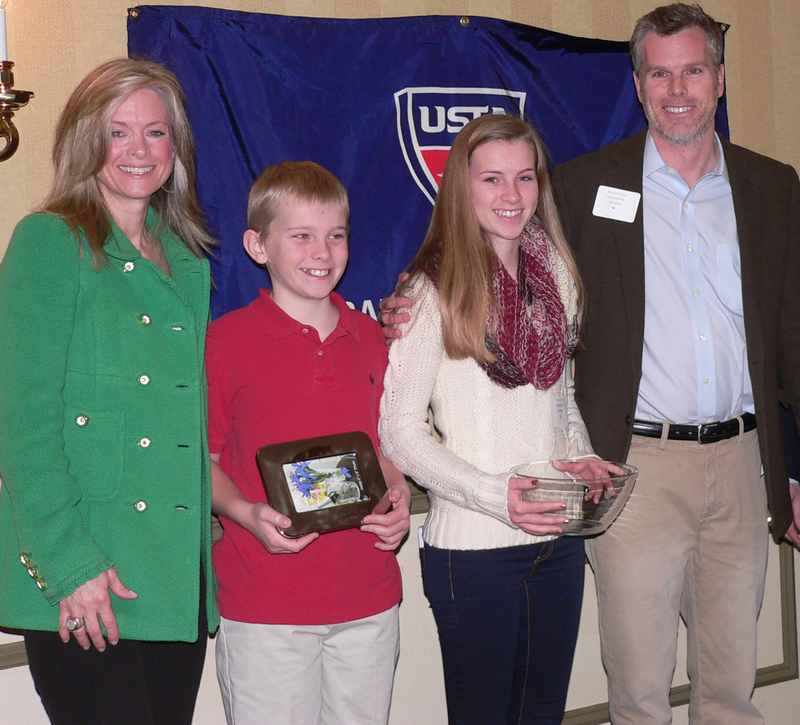 It resulted in the Flemings being the 2012 USTA Middle States Family of the Year. The perfect example of that is Christy, who serves as member of the Rodney Street Tennis and Tutoring Association Board of Directors, and has co-chaired the association’s annual event the last two years. That effort has raised more than $120,000 for tennis and tutoring programs for young people around Wilmington. Michael, meanwhile serves on the Delaware Tennis Foundation Board of Directors. In the past he’s served as a junior tennis instructor, a USTA Jr. Team Tennis coach, and has volunteered at numerous local events. The fundraising gene translated to the kids, as all three are involved with community service. They also play tennis at a high level, and stay active by being involved in other sports, as well. This story will appear in the winter issue of NetPLAY Magazine, which will be released in early January, and will include stories about the people and places of USTA Middle States. For the latest news, stories and photos, follow Middle States on Facebook and Twitter.